I had the same problem with the last boat, not so much the current one. Add in the heat! So much so that I never went down there to do anything without having my cell phone with me just in case. 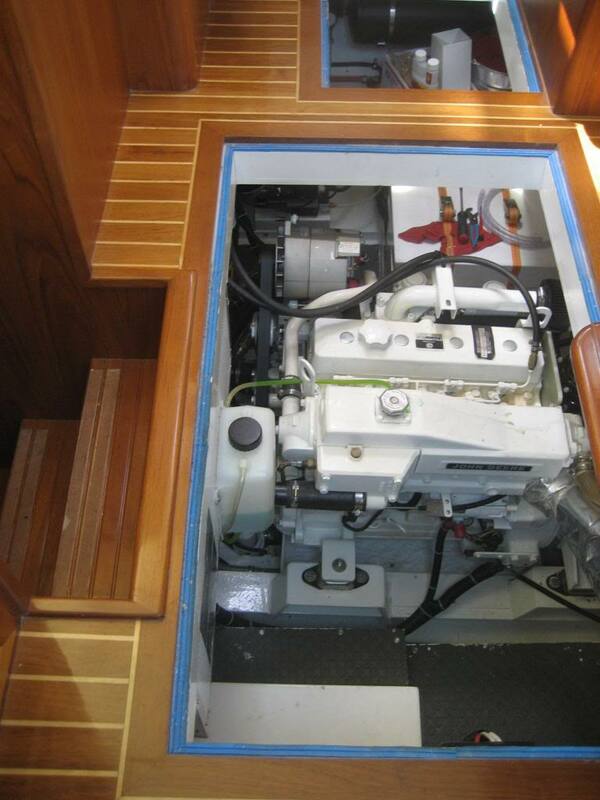 *Replacing all that diamond plate-covered plywood with new smooth, stiff plywood, including lids for the shower and bilge sumps. *Adding indoor-outdoor carpet on Enka-drain or similar for a vented pad. *Resupporting the house battery bank. *Stiffer lid over the battery bank. Then maybe grovelling will be less of a physical torment, and more work can be done. Ahhhh.... it is so nice to share the pain... aspirin anyone? A plastic milk crate is the perfect seat and height for working on anything in the bottom half and standing for the top half. Simi, what are those stringers under the fuel tanks made of? 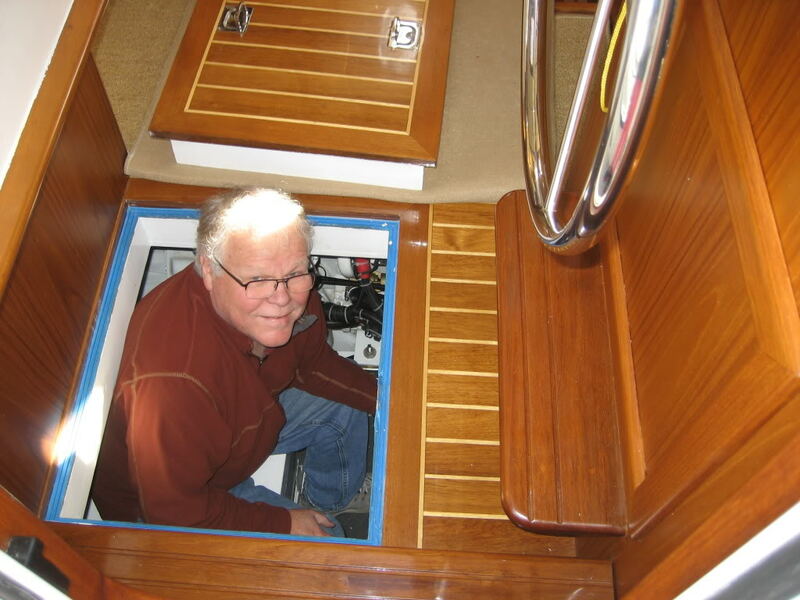 I've gotten to the point of lifting a floor hatch just so I don't have to crawl thru the door under the stairs. Got to check a/c stainers weekly. Timber like the rest of the boat. Probably spotted gum. I can't imagine working in some ERs--even on a nice, cool day. A couple weekends ago, I was working in mine on a blistering day -- it's still shrink wrapped on the hard -- and was staying hydrated and "cooled off" with fans. I finally realized I was getting light-headed and immediately left the boat. It was 98F outside but I felt decidedly cooler as I stepped outside. 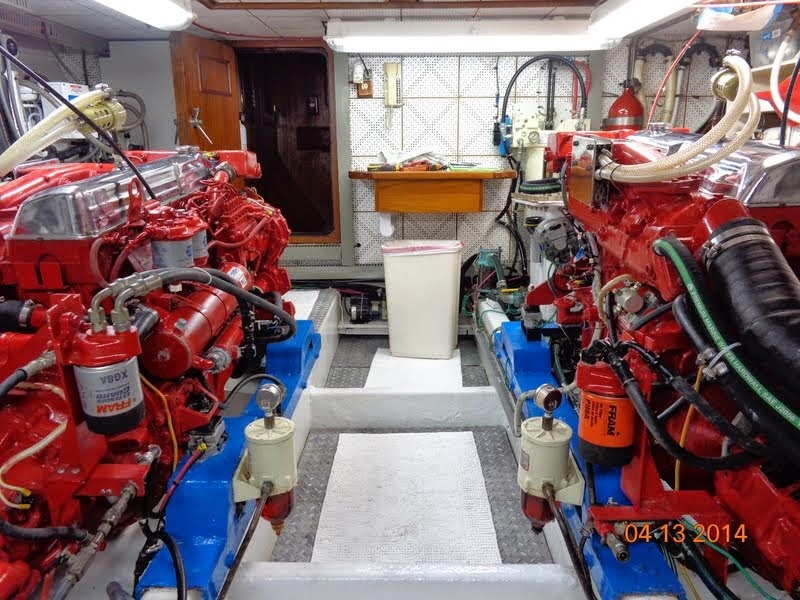 I have severe engine room envy!!! I was going to suggest bringing one or more fans down there with you. It makes a world of difference. Also, if you can have someone outside to hand you tools, parts, cold beers, etc., things go better. That said, I almost always end up doing this stuff solo, so lots of trips in and out of the engine room. That on a DeFever 44? Seems quite spacious. 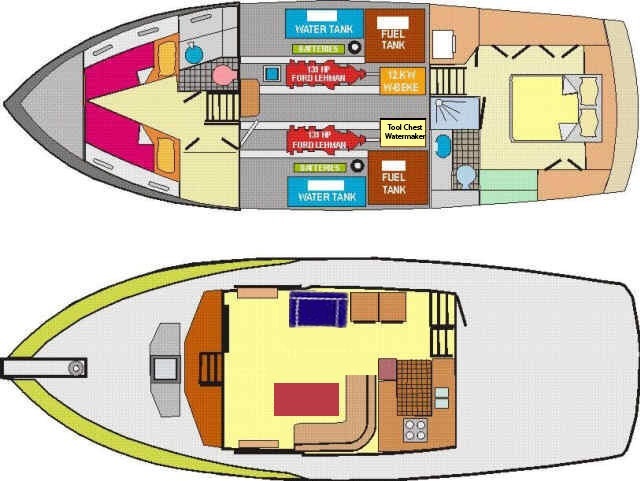 Or is the garbage bin/kitchen tidy indicative of engine room height? 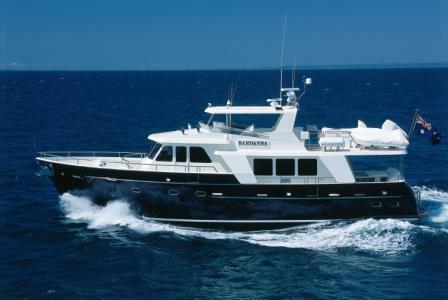 Near me at present is this vessel. Have been finishing some odd and ends in the engine room this summer. My trick for making it more comfortable is to open the hatches in the saloon and set the AC down to 70 degrees. then I go visit one of the live aboard neighbors for an hour. Come back to a cool dehumidified engine room. Makes work much more tolerable. It's spacious compared to some. 5'7" headroom forward; slightly less as you move aft. Removing the hatches in the salon increases headroom to about 12 feet . I also relocated the battery banks that were outboard of the Lehmans to give full engine access. 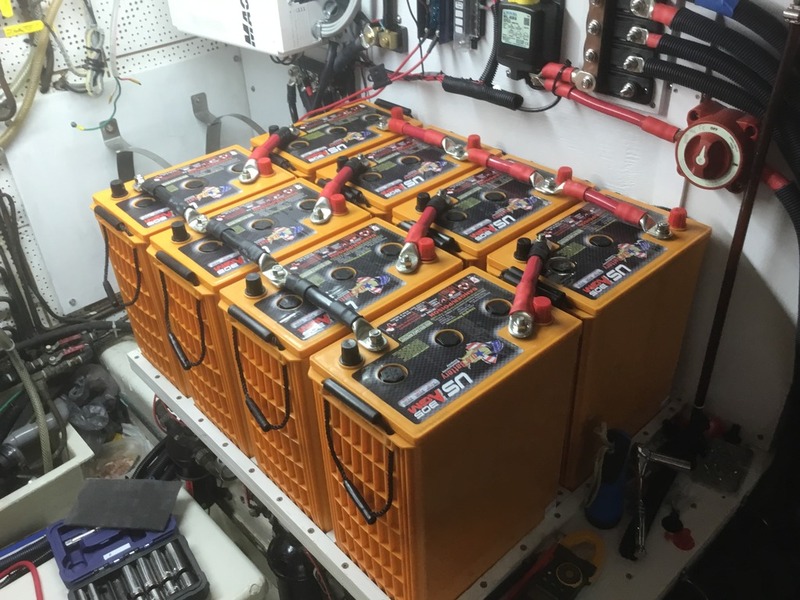 That's one heck of a battery bank, nice.